Need A Quote For Your Next HubSpot Website, Template, Inbound Marketing Program, or Marketing Automation Project? We like doing quotes! We can build Inbound Marketing Programs and Campaigns, Websites using the HubSpot CMS, HubSpot Template Designs, Build Inbound Websites, Migration Your Website, Integrate SalesForce, and much more. 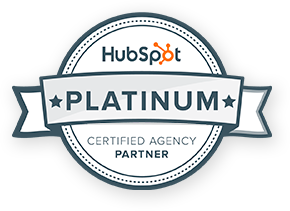 We're certified HubSpot CMS experts, and really experienced Inbound Marketers, so we can pretty much do anything you need for an Inbound program, website design, or project, on the HubSpot platform. Do you want to migrate your website to the HubSpot CMS platform, so you can better leverage HubSpot and create a true Inbound Website UX user experience? Have you just purchased a new HubSpot template, and now you need to implement the template with your brand elements and content assets - to make a great new Inbound Website? Do you need a custom HubSpot CMS website built from scratch - or do you need to freshen-up an existing HubSpot CMS website? Create a knock-out Inbound Marketing Program, fully optimized for lead generation? Do you have a HubSpot website and want to integrate with other external third-party technologies and applications, such as a CRM, through the HubSpot API? As a HubSpot Platinum Partner, with certified HubSpot CMS designers, we're expertly positioned to provide full HubSpot template implementation support, build custom CMS templates, refresh your HubSpot Website Design, or migrate your old website to the new HubSpot CMS platform.